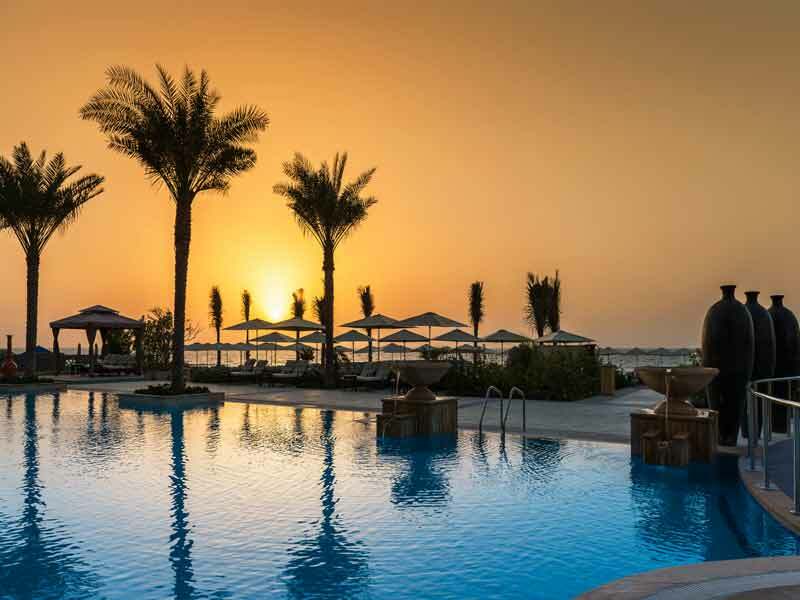 Tranquil coastal luxury in the heart of the Arabian Gulf—beachside splendour may not be the first thing that comes to mind when you think of a Dubai holiday, but it definitely should be! 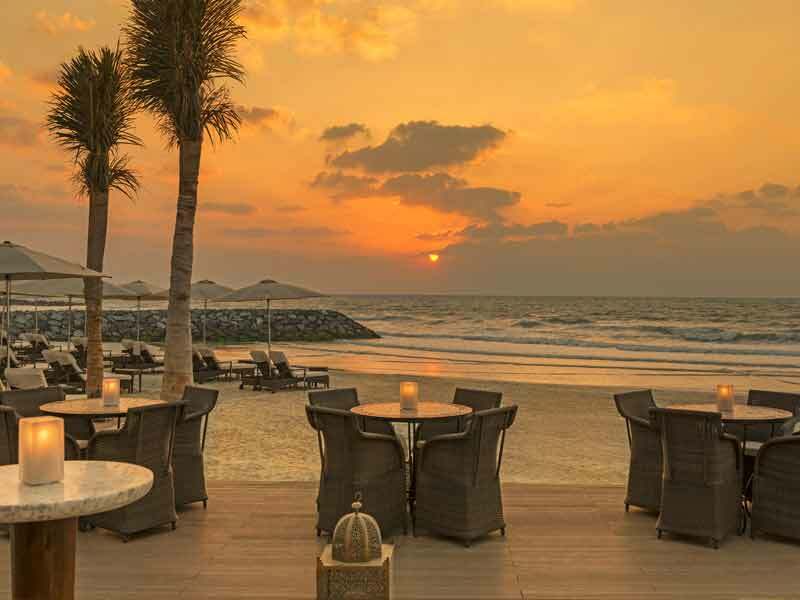 Set on the edge of stunning turquoise waters and boasting its own private beach, Ajman Saray, A Luxury Collection Resort, will delight and relax. Escape the hustle and bustle of city life and lose your worries on the sea breeze. If it’s ultimate sophistication and charm that you want, you’ve come to the right place! 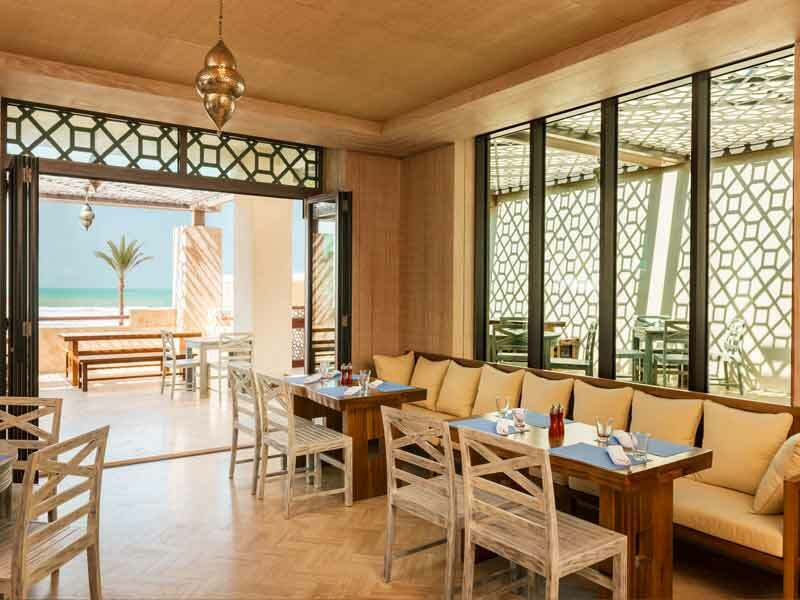 Ajman Saray exudes exotic charm. Standing tall on the edge of the Arabian Gulf and surrounded by tall swaying palms, it’s everything you’d imagine in a true oasis! 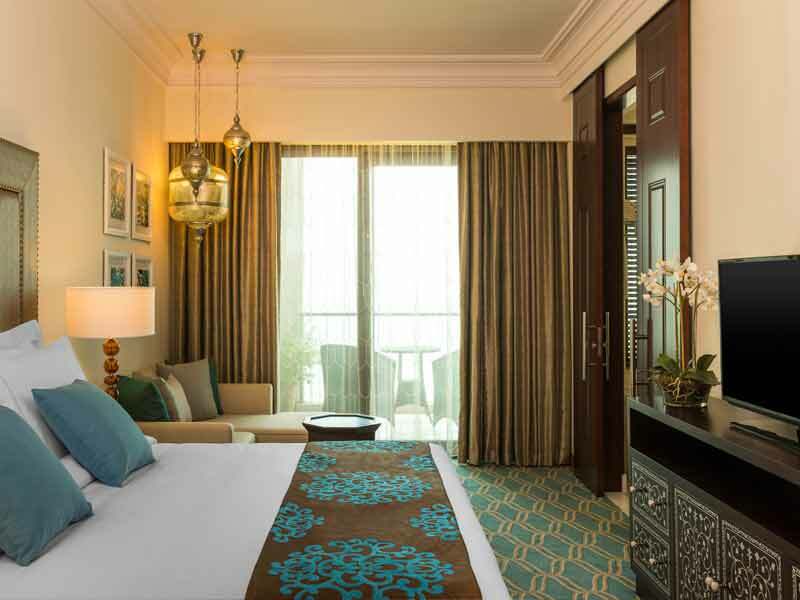 From the grand, arch-filled ground floor area, to the spacious rooms and lavish furnishings, absolutely every inch of Ajman Saray is luxurious and enchanting! Set away from the bustling thrum of Dubai city, tranquillity is paramount here. Think plush signature bedding, high ceilinged rooms with spectacular views, a private beach, pools, the GOCO spa and more. Check-in here to experience attentive, refined service and live like royalty with your every need though of! 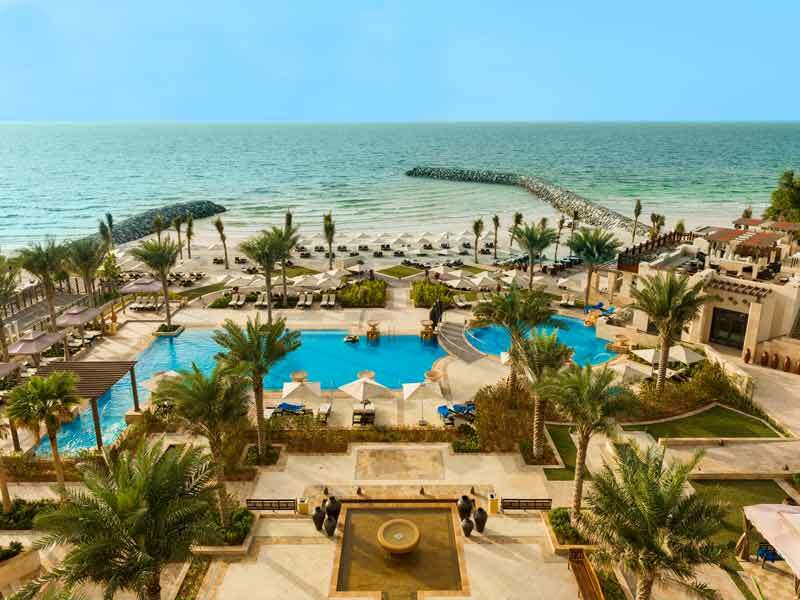 Why Go To Ajman Saray, A Luxury Collection Resort? Stay at Ajman Saray to enjoy the Luxury Collection treatment while discovering even more of Dubai! This spectacular resort is set on the boardwalk on the western United Arab Emirates coast. It is close to iconic museums, culture heritage sites and the Safeer Mall, plus it boasts its own private beach for those just looking to relax. Spend your days here on a sun lounge or daybed, gazing out to sea; take a plunge into the turquoise waters if you need to cool off and then move up to the decked area for refreshments with a view! Other facilities include 2 glittering pools, water sports, a fitness centre and squash court and the ultimate calm sanctuary that is the GOCO Spa Ajman. Set just a short walk from the white sandy beach, GOCO Spa offers internationally renowned wellness therapies, private male and female thermal bathing areas, steam rooms, a sauna, an authentic hamam, an ice fountain and chromotherapy rain showers. Indulge in a massage, beauty treatments and more! The GOCO Spa even features The Gentleman Barber with specialised male grooming by HOMMAGE, so every traveller can treat themselves to some pampering here! When you’re feeling rejuvenated post spa, the Al Zorah Golf Club is just a short drive away. This spectacular par-72 courses offers pristinely manicured fairways and greens and is the perfect golf destination for players on holiday! 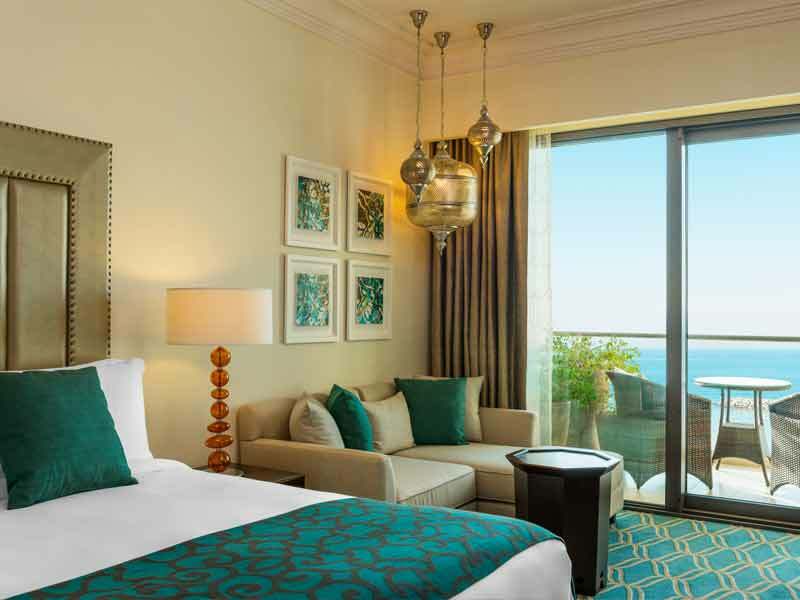 Lose yourself to the enchanting Arabian Sea in a Deluxe Sea View Room. 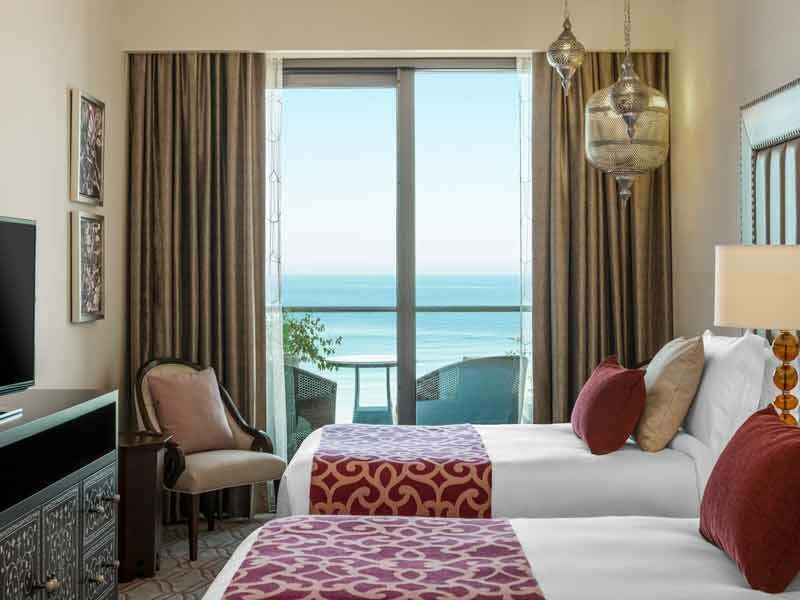 Filled with authentic Arabian-accented décor, including scrollwork-pattern details and atmospheric lamps, these light-filled rooms are plush and inviting. Take in the sea views on your private balcony or retreat inside to sink into your signature pillow-top bedding. 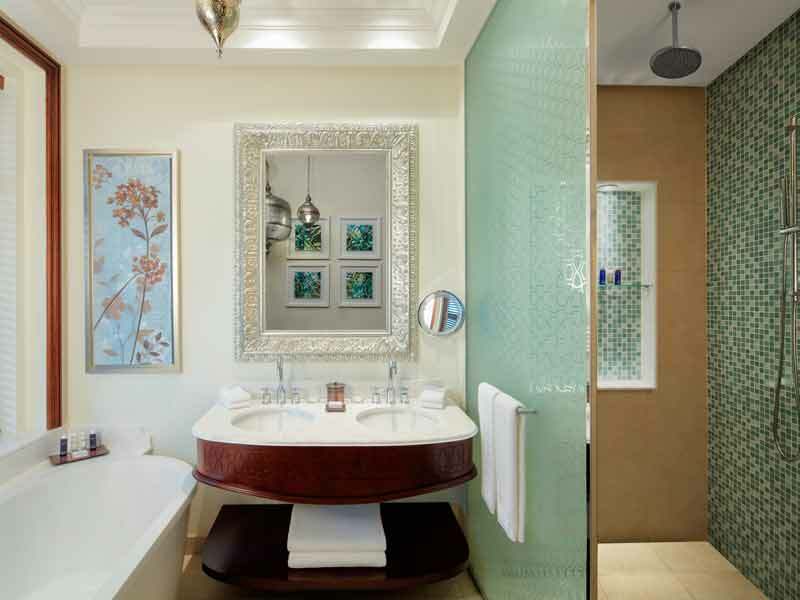 Complete with an elegant seating area, luxurious bathroom with double vanity, walk-in shower and large soaking tub, these rooms will have you feeling completely relaxed in no time at all! Deluxe Sea View Rooms feature Illy coffee machines, iPod docks, WiFi and 40-inch TVs. They’re air-conditioned for your comfort, have a mini bar and boast 39sq. metres of space. Deluxe Sea View Rooms can accommodate 2 guests. 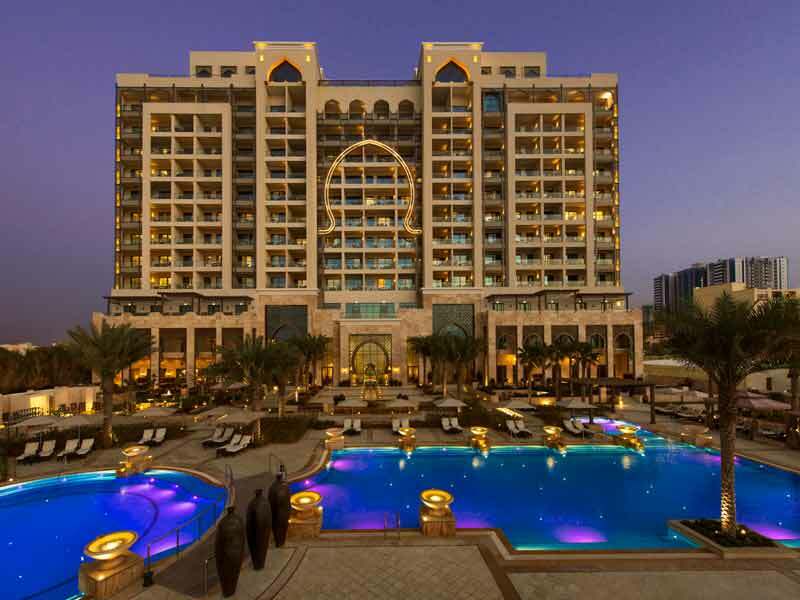 Ajman Saray, A Luxury Collection Resort is set on the beachfront of the United Arab Emirate’s western coast. 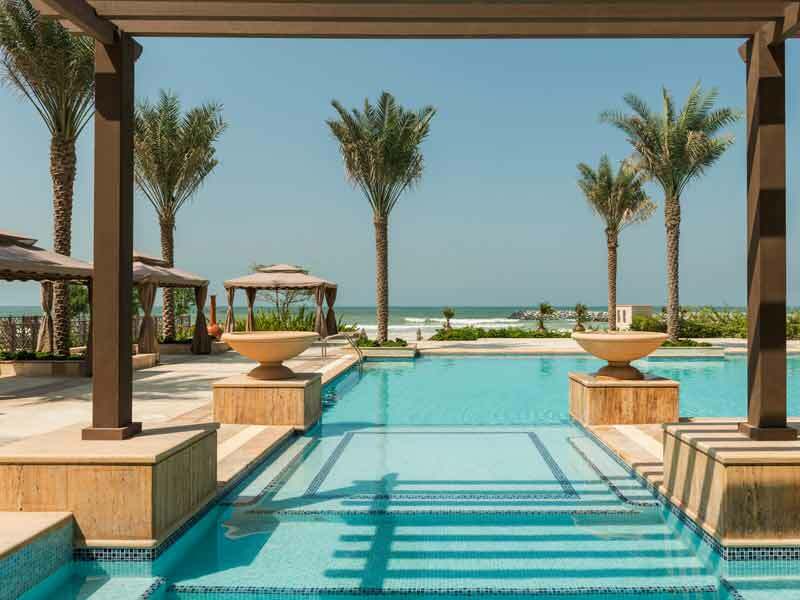 Facing the Arabian Gulf, it offers unbeatable sea views and the overall feeling of being in an oasis! 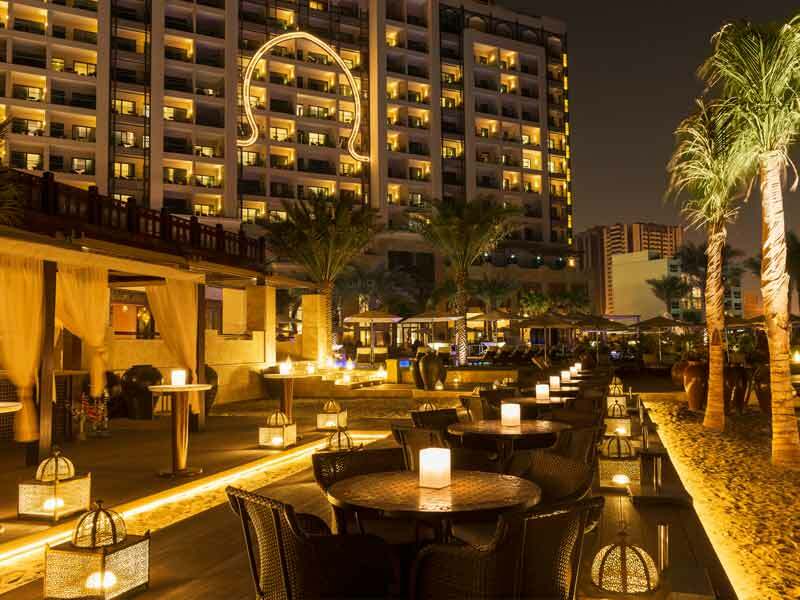 The resort is just under 40-minutes away from the Dubai city centre and around 30-mintute’s drive from the Dubai International Airport. Ajman Saray is the perfect place to go if you’re looking to expand your UAE knowledge and get more out of your time in Dubai! Set away from the thrum of the city, it offers guests the chance to relax and take their surroundings in—to still be able to indulge in exotic charm and lavish luxury while also being able to just sit and appreciate the view. This said, there are still plenty of things to do and see around this spectacular resort. When you tire of glorious days spent in the sun on the beach, take the picturesque 7-minute journey to glimpse authentic Emirati life at the bustling Ajman Fish Market. Next, indulge in some retail therapy at the Safeer Mall (4.3km away), travel 14-minutes to tee off at the Al Zorah Golf Club, or opt for a less than 2km journey to marvel at the archaeological finds, pearl trade history and weaponry on display at the restored 18th Century fort that is the Ajman Museum. Fantastic hotel overlooking the beach and sea! Great experience from check-in to meals, housekeeping and all involved. Hotel team could not do enough to make sure we enjoyed our stay and were more than helpful and accommodating for the children with us. Would definitely recommend for anyone who wants a holiday. The facilities, food, beach, pool and hotel staff were amazing!